It is the mission of the Greater Barre Community Justice Center (GBCJC) to address conflict and crime by promoting shared responsibility for a safe and healthy community. The GBCJC engages citizens to restore relationships, repair past harms, and build community connections through education and involvement. 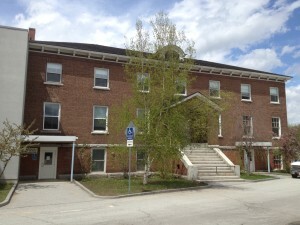 The GBCJC is a citizen-governed nonprofit that operates with input from the City of Barre and its residents, and responds to stated needs and priorities from them and other surrounding towns (Barre, Barre Town, Washington, Williamstown, Plainfield, Marshfield, Cabot and Woodbury, as well as the rest of Washington County for Family Group Conferencing). We are committed to providing a safe environment for resolving conflicts and to promoting restorative justice and victim sensitivity throughout our community. Citizen volunteers, trained in restorative practices, provide guidance to the center and deliver many of the services. The GBCJC is governed by a Board of Directors — a diverse group of people with various skills, backgrounds and experience. Victims of automotive property crimes, such as window or tire damage, are referred by the Barre police for support as well as assistance in paying for the damage. Victims are invited to participate in all restorative justice programs to the extent that they feel comfortable. Restorative justice programs allow for direct community involvement in the resolution of criminal offenses through participation in Restorative Justice Panels, restorative conferences and/or restorative circles. People directly affected by a crime have an opportunity to participate in a justice process where they can articulate their needs, ask questions, seek restorative actions and receive support from their community. Those responsible for a crime can learn about the harm, make amends, and build a positive connection with their community. These programs enhance community safety as people return to their communities from prison. Services offered include facilitating dialogue between inmates and family to promote healing and reintegration and the opportunity to learn new skills and make amends. Those who have committed serious offenses may join a Circle of Support and Accountability (COSA), a personalized network of community members who volunteer their time to support the person’s actions as he or she builds a crime-free life. This program facilitates dialogue related to neighborhood and community issues. Professional mediation services help community members talk about and find solutions to their conflicts, which may involve such issues as noise, pets, boundaries, and landlord-tenant disputes. A jobs class is offered to those restorative reentry participants who want to learn more about looking for and landing a job. Through a contract with the Department for Children and Families, we deliver restorative Family Group Conferences (FGC) for youth who are delinquent or at risk of delinquency adjudication. FGC is a three-stage process that brings together a child’s family (with the child) to make decisions and to come up with a plan that will create a way forward. An educational program designed to teach participants about the human consequences of unsafe, impaired, and distracted driving. The class explores behaviors, impacts, and motivation, and hears directly from a Victim Impact Panel. Safe driving plans are developed. The GBCJC organizes and facilitates custom-designed forums that invite public dialogue and response to current community issues. Through large and small group work, community dialogue can result in better understanding of an issue for all concerned. The GBCJC delivers trainings to groups who are interested in learning more about conflict management, communication skills, restorative justice, and peer mediation. The GBCJC also offers training in restorative practices to schools. Circles of Support and Accountability (COSAs) to work with people as they transition from prison back into our community. Restorative Justice Panels to conduct structured problem-solving meetings with persons responsible for and affected by a crime. Board of Directors to work together with representatives from city government to plan and implement the direction of the center. General Office Help: We sometimes need volunteers to help with office tasks, mailings, technology, and more.